If you haven’t heard of them before, social engagement pods are causing quite a stir in the business and marketing community. Some people swear by them, others loath what they stand for – most still don’t fully understand what they are or how they work. 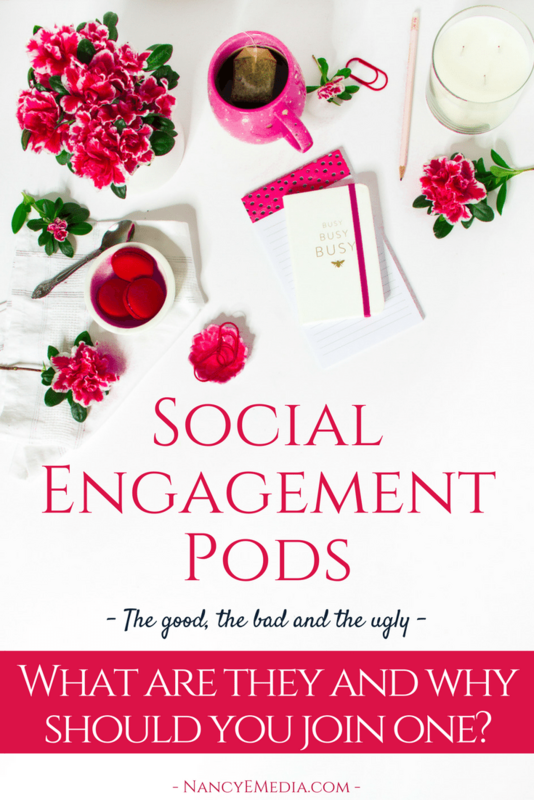 So I thought I’d explain what a social engagement pod is, the pros, cons and whether you should join one (and a good strategy to follow, should you decide to). Please note: Pods are not a social strategy by themselves – they should only make up a tiny portion of your social game. So, if you’re ready, let’s get into the nitty gritty of social engagement pods! 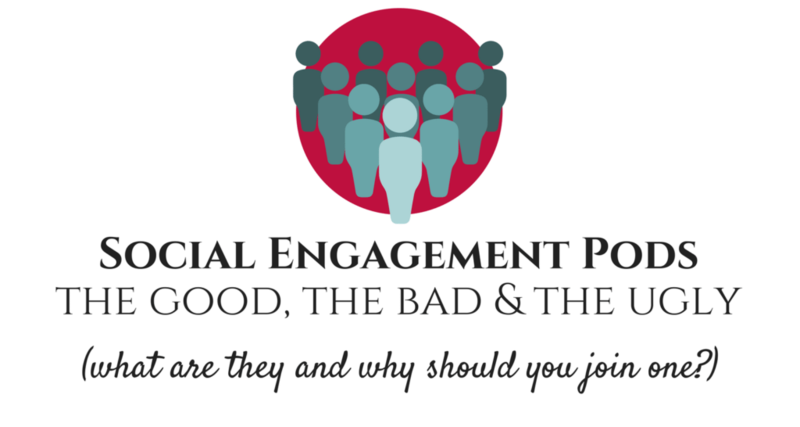 What is a social engagement pod, exactly? 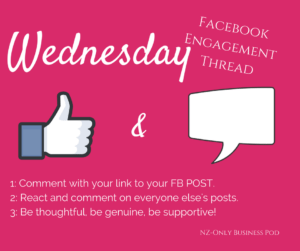 As a business owner, have you ever asked your partner, friends or family to comment and like your Facebook page or its posts? You probably don’t need me to tell you that people do this to help boost their reach and give their posts some authority. Pods are essentially an extension of this concept. A group of friends, business owners or influencers get together and agree to help boost each other’s posts through engagement. Mostly, this is done through messaging – where people send their latest posts into a group message for everyone to engage with – or in threads, which tend to be a long string of comments on a Facebook post. Some can be massive with hundreds of comments and others can be very small, with fewer than 10 participants. The rules also differ from pod to pod (and even threads within pods). Some require a simple “Like” of each other’s posts, others demand a minimum 4-word comment. There are some that are only open for an hour, and those that give participants 24 hours to complete. Some post daily, some post once-a-week and some have different days for different platforms. There are pods that are restricted to only influencers with over 30k followers, and others that will accept anyone. There really is no single model for pods, and they occur on all sorts of platforms, in all sorts of groups. Why should you join an engagement pod? But even just a couple of likes and comments can all of a sudden make a page look more attractive to a potential follower (it’s all about perception). Some businesses are simply not designed to be marketed on social, but you still want it to look like it has some life in it! Pods can give you that little boost of engagement and authority that starts a snowball effect that allows the page to grow. It’s a means to an end, people! The engagement can also help give you a head start with the algorithms. Don’t get me wrong – no amount of “playing” the system will give you results on crappy posts (Read: Three Ways To Craft An Engaging Facebook Post & Grow Your Reach ), but the algorithms are not out to get you. A few likes and comments on a post early on can help send a signal to your social platform that you’ve got a good post that people will enjoy! If it IS good, it ensures the algorithm takes it seriously and gives it a chance on the newsfeed. Super helpful when trying to extend your reach. If you choose your pods correctly, your pod-members’ friends or followers are also likely to see your post (and that their friend has commented on it) and become potential customers! There’s nothing better than an endorsement from someone you know and like – but this is why choosing the right pod is so important. So why are some people so against using them? It’s easy to see why people have labelled pods as spammy and full of fake engagement. I think there is a very fine line between an awesome pod and one that makes your page look desperate. For starters, some pods are free-for-alls where no one enforces reciprocation and people just spam the same crap over and over again. Pods are a big job to manage correctly, and when they aren’t and no one is being held accountable, you can end up commenting on hundreds of posts, only to receive 2 crappy “Looks Great!” comments in return. No bueno! Reciprocation is so important for a pod to function correctly – without that mutual respect, no one is going to bother taking the time to comment thoughtfully on your posts. This comes down to the pod’s management. If it’s small enough, the members alone might be enough to keep everyone accountable, but some people feel a bit weird about calling out members who aren’t pulling their weight. 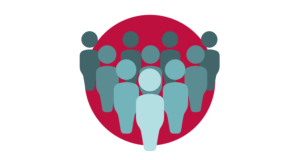 A good pod manager will keep an eye on member’s behaviour, constantly remind users of the rules and delete members who don’t play fair. A great pod manager will also foster a feeling of congeniality and teamwork. Building relationships between pod members helps people care more about their fellow social media colleagues, and you’re way more likely to leave something nice on a friend’s post than a stranger’s. So, how do you find a good one? The first thing to consider is what kind of pod you want to join – this starts with who and where your customer is. For example, as I’m a Kiwi, a few of my clients are based in New Zealand. Their customer base is also in New Zealand so having American users comment on their posts doesn’t really help their posts reach the right people. So we started a NZ-only pod to focus our organic reach to people living and working in New Zealand. Similarly, a lot of generic “blog pods” tend to be full of mummy bloggers. If you’re not a mummy blogger or targeting mums, liking a million pictures of other people’s kids probably won’t help you work towards your own social goals. So seriously consider the type of pod you want to join before you even begin to look around for one. The best way to find audience-focused pods is to ask in audience-focused Facebook groups. So, if you’re a travel blogger, ask in a travel blogger group. I guarantee there will be heaps of offers. Groups might already have their own engagement threads, too, so keep an eye out for those – and you can always create your own if you find people saying they’d also like to join one but no one offers membership to theirs. You only need a few good people for it to work! An initial signal of whether a pod will be any good is in their entrance requirements. Do they ask specific questions before allowing you to join? Do you have to meet certain criteria (for example, living in New Zealand or having a certain amount of followers or post a certain number of times a day)? Strict entrance requirements are a good indication that the quality of members is good, focused and active – it might also be a reflection of a good pod manager or moderators. Lots of rules are a great sign, too. They might seem a little overwhelming and confusing at first, but the rules have probably been developed overtime by moderators to ensure no spamming and high levels of quality reciprocation. If you’re not sure, feel free to simply ask members and moderators if you’re doing something right – most are super helpful and happy to point you in the right direction. And is timing important to you? Some pods require you post and interact within a certain timeframe, a certain number of times a week, to give posts the best possible chance with algorithms. But it’s not fair for you to join a pod and not play by their rules, so make sure that you can actually commit to the posting rules before joining in. As with everything, you’re going to get out of it what you put in. So if you’re commenting crappy things on people’s posts, don’t get upset when they don’t put in any effort on your own. For most small pods, building those relationships with your fellow pod members really pays off. If you go the extra mile for them, they’re most likely going to return the favour! Note: Sharing competitions into pods is really bad sport because it’s unlikely your pod friends want to join your competition and you’re forcing them to sign up to something or tag someone in your post. Not cool, guys. You want to make it as easy for people to interact with your posts as possible. If you craft engaging posts, it’s going to be so much easier for your pod to leave great comments that look good and spark discussion. As I mentioned before, no amount of pods and engagement is going to help your reach if your post is crap. I’ve seen this with clients who are confused that, while their post has a few comments, their reach is abysmal. But if you post a video that no one watches, or a link no one clicks on, or even a status no one “reads more” of, those are all indicators to algorithms that your post isn’t great quality. Consider joining a few different pods and rotating your use of them. If the same 5 people are commenting on your posts again and again, your page is still going to stagnate. If you rotate between a few different pods, with different rules and different audiences (albeit, still part of your target), you’re going to gather much better results. I also never consistently use pods for all my posts. There are some posts I know I don’t need an extra boost for, or I’m promoting them some other way. This keeps the engagement fresh and the organic side of your page building. Pods are not a social bandaid by themselves – they are a tool to help get a post off the ground and grow some authority as part of a bigger social strategy. This entry was posted in Blog, Social Media and tagged engagement, engagement threads, facebook pods, instagram pods, pods, social media. Fabulous blog post; it covered everything I never knew and should know. Thank you!